PHOENIX–Arizona Gov. Doug Ducey has ordered all flags at state buildings to be lowered to half staff until April 21 in honor of former First Lady Barbara Bush, who died Tuesday at the age of 92. On Sunday, a spokesperson for the Bush family said Mrs. Bush would no longer seek additional medical treatment after several hospitalizations and would be cared for in the comfort of her own home, surrounded by family and friends. 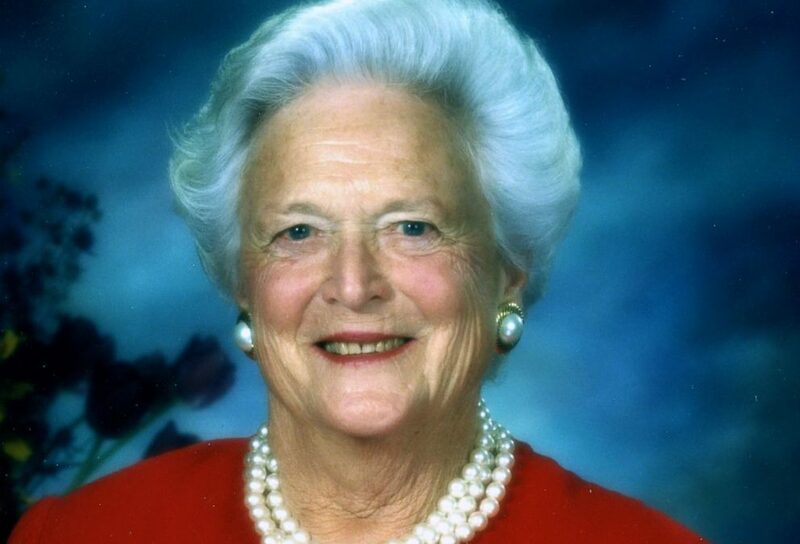 Bush had suffered with Chronic Obstructive Pulmonary Disease and Congestive Heart Failure for several years and had been in and out of the hospital prior to her passing. Bush spent eight years as the First Lady of the United States while her husband, George H.W. Bush served as United States President. A large amount of her life was dedicated to bringing literacy to the youth. In 1989, Bush created the Barbara Bush Foundation for Family Literacy, a Florida based non-profit organization that seeks to improve literacy in the United States through programs directed towards preschool children and parental literacy. Her funeral will be held at St. Martin’s Episcopal Church in Houston on April 21, followed by a burial at the George Bush Presidential Library in College Station, Tx.